UpNorthBusiness | Helping small business start, grow, and succeed! Most of us have an image of an inventor shaped by the works of Edison, Bell, and the Wright Brothers: Hardworking souls toiling through hours of experiments until a groundbreaking innovation is discovered. Such is not the case for the founders of the social online networking service Twitter. 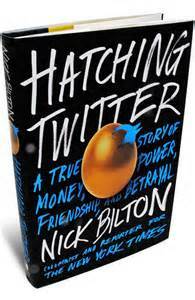 Through the entertaining book “Hatching Twitter” by Nick Bilton, we’re able to see firsthand how the success of Twitter is more happenstance melodrama than relentless persistence. Bilton, a New York Times columnist and writer, researched thousands of Twitter documents including employee emails, boardroom presentations, government communications, newspaper articles, and blog posts. Weaving these accounts together he created a fascinating chronology of how Twitter’s founders changed (intentionally or not) the world. “Hatching Twitter” begins with short chapters on each of Twitter’s founders, drawn together by the desire to create something that will make them notable and rich. Evan Williams is the misunderstood son of a Nebraska farm family who migrates out west to Silicon Valley. He eventually starts the web site Blogger, which he sells to Google. Williams parlays his Google windfall into a podcasting business which his friend Noah Glass convinces him to invest in. The business, initially known as Odeo, at first operates in make shift work spaces, going between a small cramped office and a small apartment. New employees are hired in, each with unique skill sets and personality quirks. One of these hires, Jack Dorsey begins his work as a lowly contract programmer, his significance to the future of Odeo and Twitter is unanticipated. Odeo works to position itself as the go-to application for podcasting. One night its plans are blown to pieces when Steve jobs announces that Apple is introducing the i-Pod, which includes a major podcasting platform. Odeo’s grand vision now destroyed, Williams calls a meeting to brainstorm what the company can do to survive and appease its investors. It’s a 2 am conversation the following morning between Glass and Dorsey that takes the idea of text messages that can be broadcasted to a broad audience. Facebook is trying a somewhat similar concept on college campuses, but Glass and Dorsey seek a way to communicate their thoughts to friends that are not close by as a solution to their own loneliness. The concept is tweaked at meetings that follow and a new direction is forged. The next question is what to call the new company. Before Twitter was selected, we learn that names like Worship, Quickly, Tremble, Friendstalker, Vibrate, Twitcher, and Twitchy fortunately did make the cut. Growing pains persist throughout the early months of Twitter. The company gains followers slowly at first. Twitter’s first marketing rollout event is at a disaster, but over time “tweeting” becomes trendy and hip and Twitter popularity worldwide. As this growth accelerates, the company’s servers have persistent problems keeping up with the site’s burgeoning traffic. Investors become antsy with the technical issues but there are always new investors waiting at Twitter’s door step. The book’s more humorous episodes include failed and bizarre individual attempts to invest in the company from Al Gore, Ashton Kutcher, and Mark Zuckerberg (Facebook). While Twitter is evolving so are the egos of its founders. Key players may be fired from Twitter but the inept staff left to manage become vulnerable themselves, resulting in a corporate environment that violates every administrative and human resources curriculum ever written. We learn this from the Twitter story. Bad relationships chronically fester within even a successful business. People are willing to invest in a company even when it produces zero income for several consecutive years. We also learn that the crazy and unlikely story of Twitter is extremely entertaining. “Hatching Twitter” is well written in a style lends itself to the drama and storytelling of a good movie script. Which may be author Bilton’s overarching intent. 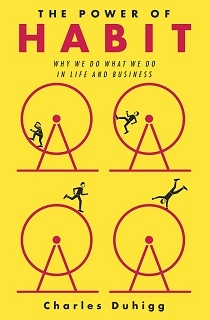 After one chapter, it’s easy to see why “The Power of Habit” is the center of office discussions and has been a national best sell for has several months now. All of us have bad habits that we desperately try to break, or see habits in others that mystify us to no end. What if we could better understand the method of how habits are formed and then take action to change them? This gnawing question is well addressed in the book, “The Power of Habit” by New York Times investigative reporter Charles Duhigg. You may recognized the Duhigg for his work several years ago, on the unsavory working conditions at Chinese plants that manufactured Apple’s I-phone and I-pad products in China. Part behavioral science, part bio-psychology, and part practical advice, the easy going narrative of “The Power of Habit” never wears thin. While it’s difficult to take such scientific information and make it conversational, Duhigg makes it all work, not just for analyzing personal habits but also for zeroing in on creating and changing consumer behavior, to motivating employee, and even explaining significant social change. Duhigg explains that habits begin as a psychological pattern called a “habit loop,” with three parts: the cue, the routine, and the reward. A cue is a trigger that comes from the part of the brain that recognizes patterns, which puts your brain into a sort of automatic pilot, letting a behavior happen. The routine is the behavior itself. The reward is what the brain uses over time to remember the habit. Understanding this cycle, it’s easier to understand why we get stuck starting or trying to change habits. Take the evolution of deodorizer Fabreez, which was destined for the Proctor and Gamble graveyard of failed products. Once the reward (or product benefit) was reframed from getting rid of bad smells to making a just cleaned room to smell as good (as it looked), the product took off, eventually becoming a staple of many American households. Starbucks had the challenge of hiring inexperienced employees lacking habits for enduring the demands for busy customer rushes and the occasional persnickety coffee snob that could set off the front line staff. Using the habit loop, each store was able to develop employees and a stronger team environment that significantly lowered employee turnover. Target uses the consumer information it accumulates to build sophisticated buyer profiles. Finely tuned offers and coupons are calibrated to the customers with the intention of altering their buying habits. The book describes how the analysis of this information (gathered through receipts, online purchases, surveys) that can identify life changing experiences, creating offers that change the consumer’ s habits (and purchase more Target products). A fascinating story is told of how Target is able to identify women who are pregnant in their first trimester. The challenge then becomes how to craft an appropriate offer to the expectant mother without being perceived as invasive to their privacy. Bottom Line: “The Power of Habit” has wide appeal for those with their own personal motivations of changing the way they do things. But, the book also addresses consumer and social behavior with the author Duhigg weaving what could be boring university research into tremendous stories that will entertain most readers. The city of Traverse City has some decisions to make regarding mobile food businesses (both food trucks and food carts). At first blush it’s easy to assume that mobile food entrepreneurs negatively impact established restaurants, but there are plenty of local factors for endorsing, not banning this type of business development. Business Breeds Business: Cluster growth in the food and agricultural businesses is well documented in northwestern lower Michigan. Back in the 1970’s it didn’t take long for people to realize that two wineries on the Old Mission Peninsula or in Leelanau County were a good thing, but adding more wineries didn’t mean failure for those that were first established. Instead, additional wineries made both Old Mission and Leelanau renown for their wine, attracting customers from downstate, across the U.S., and now internationally. This non-protective attitude provided our area with a fortunate example of “business breeding business”. What would have happened if Traverse City had called it good with two microbreweries several years ago? We could have missed out on what is now a burgeoning sector that includes not just retail and restaurant development, but also local agricultural suppliers that grow and provide hops, and soon will supply us with barley and malt. Instead of the pie being divided into smaller pieces, the microbrew phenomenon in the Grand Traverse region attracts people from far outside of the area, creating a larger market of potential customers that at first didn’t exist. Short changing the emerging mobile food movement right now would mean eliminating a sector that holds the same promise as the local wine and microbrew movements had in their infancy. A customer may need to buy something on-the-fly and not have an hour to sit down at a restaurant for lunch or dinner. There’s an opportunity to locate food truck and cart businesses in areas that might be lacking food options but still have a critical mass of working people or residents (think Lay Park west of Hagerty Insurance with its 500+ employees). 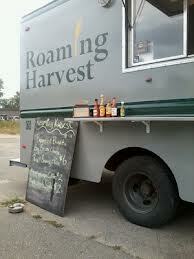 It’s not only people walking around downtown that are mobile food vendor customers. There’s another potential market with virtual and home based workers in nearby residential areas away from restaurant competition. Business Incubation: From a small business development perspective, mobile food businesses are the perfect start-up incubator compared to the traditional restaurant model that is simply cost prohibitive for many entrepreneurs. It makes sense for someone considering any kind of business to limit start-up costs and test a concept without putting his or her life savings on the line (or home up for collateral). We’re a Foodie Town, Right? 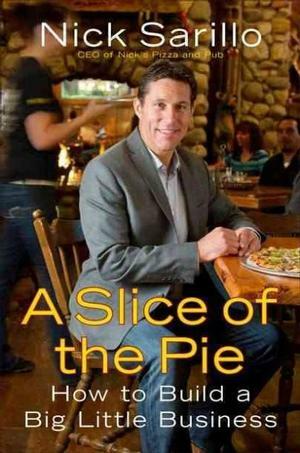 : With Traverse City consistently topping the lists of Foodie Towns in America, it’s only right to have the process and structure in place to encourage mobile food commerce rather than keeping food entrepreneurs outside of downtown, or banning them altogether (creating an economic opportunity for another forward thinking community). NMC Connection: It would make sense to integrate the mobile food model into the curriculum of the NMC Culinary Arts Program, combining small business training with the existing food related courses. 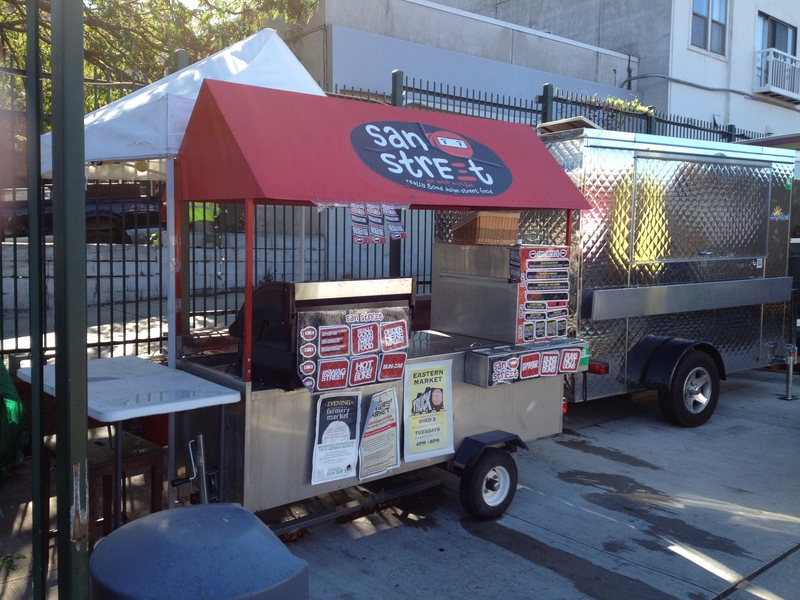 Restaurant Participation: It’s wise to have parameters that encourage established restaurants to have mobile food businesses of their own. Also, why not have a restaurant owner or chef mentor an ambitious employee to get them started with their own food establishment (again, without the major upfront costs)? This mentor-to-owner relationship could be the perfect feeder system for future “bricks and mortar” restaurant location openings. So maybe it’s time to stop being so paranoid and realize that mobile food trucks and food carts can be a positive influence for job growth, helping more people make a living, and not necessarily limit the avocation of others. Sir Richard Branson, the internationally famous entrepreneur, adventurer, and self-proclaimed icon has the distinction of being the only person in the world to “have built billion-dollar companies from scratch in eight different sectors”. As you can guess there’s some ego to get past here with Branson’s latest book, Like a Virgin. But as Walt Whitman once said, “If you’ve done it, it ain’t bragging”. Well, it’s safe to say that Branson has accomplished enough for him to be able to what say just about anything he feels like expounding on. With this in mind, one also has to appreciate the walking handbook quality of this sometimes random, but incredibly insightful book. Learn from my mistake, and don’t try to plow through Like a Virgin, thinking that one chapter is a building preamble flowing effortlessly from one topic to the next. The Perfect Pitch, provides best practices for anyone trying to raise money for a business or project. Branson has been on both sides of this table, and presents a no-nonsense approach that rationally explains the motives of both the investor and the borrower. More Walking and Talking. Less Typing and Griping, will strike a chord with many stuck in office or professional situations where a key player would rather send a passive aggressive email than simply pick up the phone and effectively communicate. Anyone who has experienced the email that creates more questions than answers (and the resulting, time-sucking politics), will relate to this section. Kick Start The Economy, lists 10 tips for jump starting the economies of the world, complete with a common sense prescriptions for what needs to be done and who needs to do it. Branson is certainly qualified to weigh in on this from his experiences. The topics covered are up-to-date and wide ranging. This is guts of the book, and the insight from Branson is many times humorous and but always honest. It’s interesting to hear Branson admit and explain details of the businesses he started and that failed. Branson also takes time to look back at others that have inspired him along the way, acknowledging that Steven Jobs is perhaps the greatest entrepreneur of all time. He believes that Jobs built his customer loyalty around innovative products. Branson then explains that the only way he knew how to succeed was to build his business around customer service. It’s these customer opportunities and recognized voids in the marketplace that are the inspiration for Branson’s diverse (in terms of product) business concepts. Don’t get the idea that Like a Virgin is heavy on ground breaking business theory. The point is that Branson is a true entrepreneur that is able to innovate and adapt like no one else. I couldn’t help but imagine sitting down with Branson at a pub or coffee shop and having the ability to ask him anything about building a successful business. If that were to ever happen, the transcript from that conversation would sound something close to the content of Like a Virgin. Like any storyteller, you might hear a few things more than once (Branson mentions multiple times how he started a music magazine), but that’s a minor demerit. If you’re looking for a refreshing alternative to the mindless drivel of most mass produced business books, Like a Virgin is a great choice. Chris Wendel is a consultant and lender with Northern Initiative in Traverse City. Northern Initiatives is a private, non-profit community development corporation that provides entrepreneurs with access to capital, technical assitance, and new markets. All of us have a good idea of what makes a good or bad boss. When it comes down to it, everyone prefers to work under a good boss, but what exactly are the characteristics of a manager that makes this happen? This pressing question is more than answered in Good Boss, Bad Boss, a recent book authored by Robert I. Sutton, Professor of Management Science and Engineering at Stanford University. Sutton implements psychological research along with interviews and case studies to explain the difference between exemplary managers that employees love and are truly dedicated to and those who’s bad behavior labels them as “bossholes”. 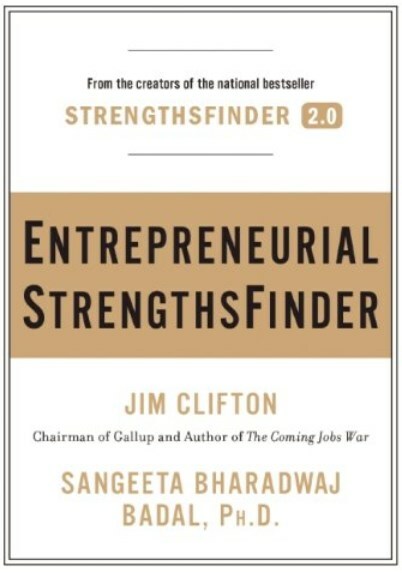 The book fortunately first focuses primarily on the habits and qualities of good bosses. Sutton explains that good bosses are keenly self-aware and avoid what is termed the “toxic tandem” of being too self-centered to realize that their employees are watching closely what their supervisor does. When Linda Hudson was named the first female president of General Dynamics she dressed with a uniquely tied scarf on her first few days on the job. Soon she noticed several women in the large office wearing their scarves tied exactly the same way. The story serves as a lesson of how peers, superiors, and customers are watching the person higher up on the ladder for cues for patterning their own behavior. A good boss also demonstrates empathy for employees, protecting them from inappropriate workplace behavior. The idea is to establish and maintain an environment where employees feel protected not just from rude behavior of other employees, but also from threats from further up the corporate ladder. The boss who fights these battles and takes the blame when things go badly (while also spreading around the credit when the team performs well) is rewarded with strong long term employee loyalty. The good manager pays close attention to employees that are truly valuable and the employees that will do the consistent in the trenches work. Rewarding those who truly deserve it rather than the ones who boast about their accomplishments goes a long way towards building a strong dedicated team. Another attribute of a good boss is being humble enough to realize that they don’t know everything. This humility goes along way when combined with the boss’ overall demonstration of persistent confidence. Sutton points out that managers realize that running a department or company is more like a marathon then a sprint, with sustained but consistent behavior that creates a safe, productive work place. 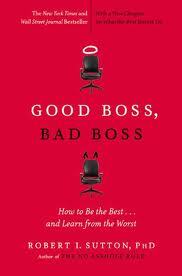 The subject of bad bosses is addressed in the book’s Chapter 8: “Squelch Your Inner Bosshole” . Besides missing many of the characteristics of good managers, bad bosses wreak havoc in the workplace leaving many of their followers felling “disrespected, emotionally damaged, and de-energized”. Bad bosses many times are copying the behavior of their own bad boss role model or are reacting poorly to the pressure of missed deadlines, not reaching company goals, or demanding customers. Many times this poor supervision becomes ingrained into the company culture. It may take adjustments at the very top to ask how change this behavior by instituting strict policies that stress courteous standards for treating fellow employees. Sutton suggests that bosses can keep themselves in line by offering a monetary reward to employees who tell them when they are being a jerk. Good Boss, Bad Boss is essential to anyone who is managing people for the first time and those who have that nagging feeling that they should improve their managing skills. Sutton’s narrative does an excellent job of weaving together academic data with real life stories of boss behavior from both large and small businesses. Chris Wendel is a consultant and lender with Northern Initiatives in Traverse City. Northern Initiatives is a community development organization based in Marquette, Michigan that provides entrepreneurs with access to capital, information, and new markets.